If it was a surprise to see Barcelona fall short in a three-game sequence which has defined their season, their response was less of a shock. Rayo Vallecano bore the brunt of Barca’s Champions League and La Liga frustrations on Sunday when they fell to a heavy 7-0 defeat, and next in the line of fire are Malaga. While the top four-chasers travel to Barcelona in considerably better form than the Vallecanos, who had lost six of their last seven prior to their 7-0 mauling, their recent results do not offer too much hope ahead of their visit to Camp Nou. Two wins in six means the season cannot come soon enough for Manuel Pellegrini’s men, who only have a three-point cushion over fifth-placed Levante. At odds of 11/4, a successful £25 free bet on a 2-1, 3-1 or 4-1 scoreline is set to return £93.75 – far more tempting than those odds of evens on a Barca win by at least three goals. 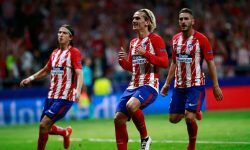 The main issue of late for Los Boquerones has been a lack of goals, with just four scored in their last four appearances – the same number as they have conceded. Against a team with the best attack and defence in La Liga when playing at home, this is a recipe for trouble. The problem is, backing Barca to continue where they left off against Rayo Vallecano when they take on Malaga is not going to earn punters too much money. In bwin’s 3Way football betting market, Barca are 4/25 to win, with the draw at 27/4 and a Malaga success at 23/2. Meanwhile, you can only get odds of evens on Barca winning by at least three goals in the handicap market. With this in mind, it could be worth betting on Malaga’s recent run of scoring once in a game (which they have done in their last four matches) to continue and for Barca to win 2-1, 3-1 or 4-1 in the multiple correct score market. After all, this scoreline covers Barca and Malaga’s last four meetings, while Los Boquerones also found the back of the net once when they visited the Bernabeu in March. And at odds of 11/4, a successful £25 free bet on a 2-1, 3-1 or 4-1 scoreline is set to return £93.75 – far more tempting than those odds of evens on a Barca win by at least three goals.